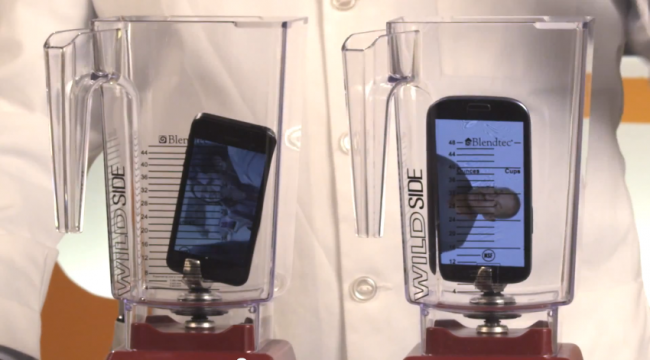 The Only True Comparison of the iPhone 5 and Galaxy S3 – Will They Blend? Oh, the folks at Blendtec have done it again. If you’re unfamiliar with the channel, then let me sum up what these people do. They take anything and everything, then use their heavy duty blenders to destroy it. Viral video gold. Their latest video pits the iPhone 5 up against Samsung’s Galaxy S3. Incredibly, Samsung’s plastic holds up extremely well in terms of time-to-shred compared to the iPhone 5. Either way, it’s sad to keep watching a ton of devices be destroyed for entertainment purposes.